An aftermarket exhaust is the first step for many to modify a bike into something unique. Various companies make such kits for almost each and every motorcycle that there is in the market. One such aftermarket kit is available for the Bajaj Dominar 400, a bike that has established itself as a value for money offering in markets worldwide. The talented team at PAOLUCCI Engineering has come up with a one-piece solution for this motorcycle. Not only does the system look better than the stock unit in its shiny appearance but it also takes the power and torque up by a small margin and takes the weight down by 6 kilograms. 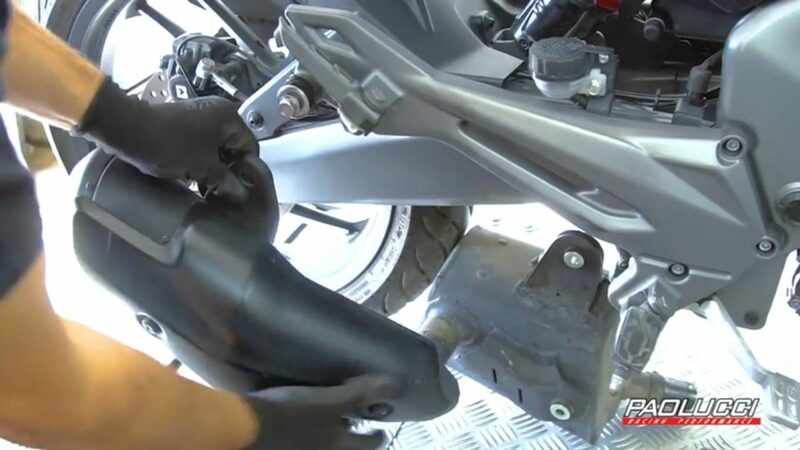 With a more free-flowing design, this new exhaust system helps the motorcycle exhale better, which leads to the bump in power. As you can see in the video, the whole process of removing the stock exhaust and replacing it with this new shiny exhaust is rather easy too. 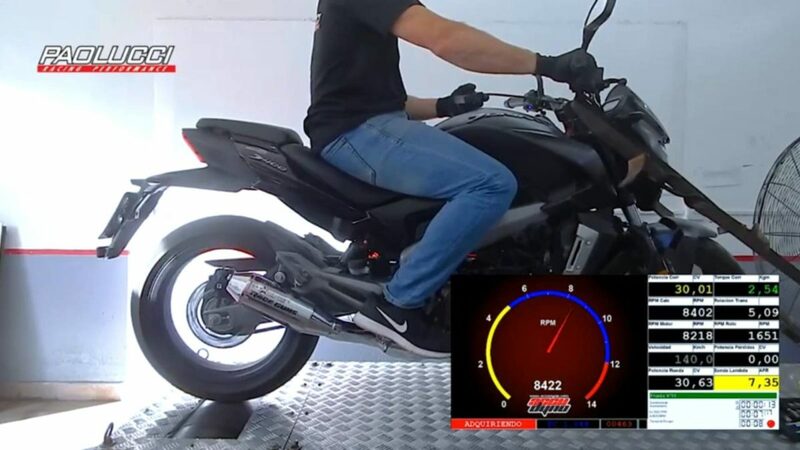 To compare the power figures, the guy puts the Dominar 400 on the dyno with the stock exhaust. After the dyno run, the process of replacing the exhaust begins. With minimal tools, the man can be seen undoing some bolts and screws to make way for the new exhaust. He also takes out the various pipes and wires also attached to the stock part. The new exhaust results in a bump in power of about 1.71 HP at 8,486 rpm. Torque output also goes up marginally and another advantage of this exhaust is the weight difference. The stock weighs in 10 kg while this aftermarket unit tips the scales 4 kg. 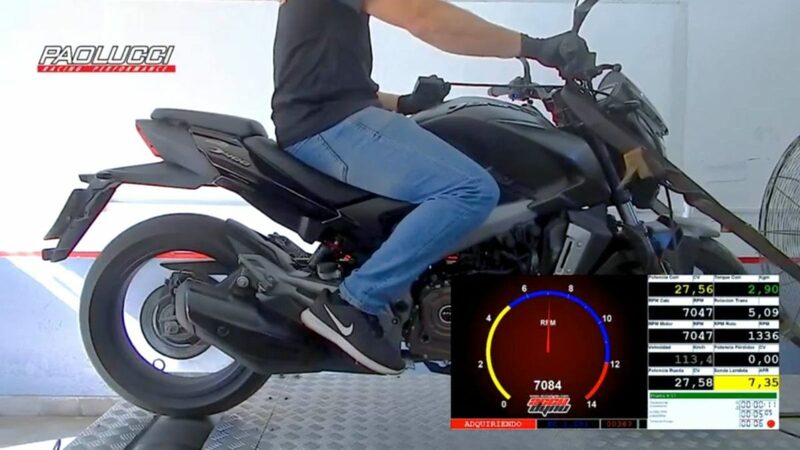 The Argentina based company also develops exhaust solutions for certain other small-capacity motorcycles along with the Dominar. However, this exhaust system is made for the old model of the Dominar 400. In an updated avatar, the Dominar 400 carries changes like a DOHC setup, some changes in the exhaust and some other ergonomic changes. At an estimated price of INR 1.8 Lakh, the Dominar generates 40 PS and 35 Nm of torque.